The AZ STARS Mentoring Project of Pima Prevention Partnership is a collaborative effort to provide best-practice mentoring for children of incarcerated parents (CIP) and Foster Care youth in Arizona. 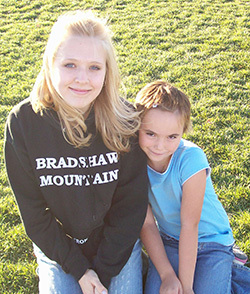 Pima Prevention Partnership, a non-profit agency, coordinates the program and provides specialized services and training on the unique issues of CIP and Foster Care youth, and their caregivers. Collaborators work diligently to meet the diverse needs of these children. Big Brothers Big Sisters agencies in Maricopa, Pima, Coconino, Navajo, Apache, and Yavapai Counties recruit and screen volunteer mentors and provide case management services. K.A.R.E. Family Centers provide support services for CIP and their families. Prison Fellowship Ministries helps recruit and offer other faith-based support. Workforce Development helps prepare youth for their future jobs by teaching employability and soft-skills.